Whether you’re training a team, coaching service providers or building your own personal practice, access to the right tool can make a big difference. Here we’ll feature proven resources — from our own experiences as well as the successful endeavors of others. With the reminder that we do not believe in cookie-cutter solutions, you may find materials featured here helpful. 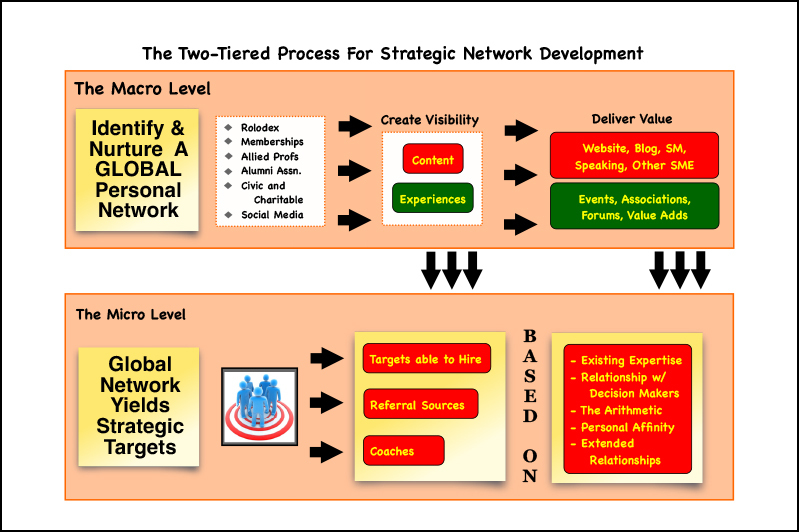 Networking plays an important part in most professional service sales & business development plans. 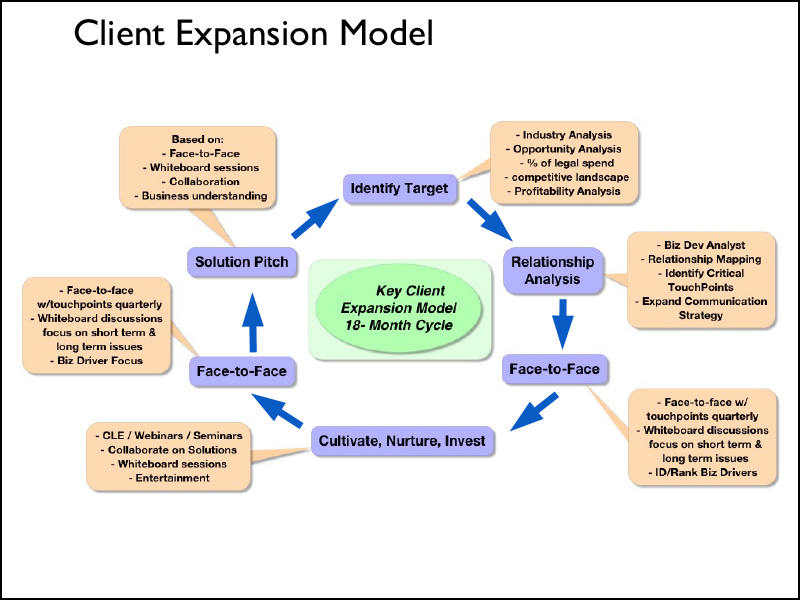 For many individual practitioners and firms alike the challenge often comes in creating a strategic approach to the resources invested. This infographic is designed to help, providing a framework addressing two distinct tiers for your focus. 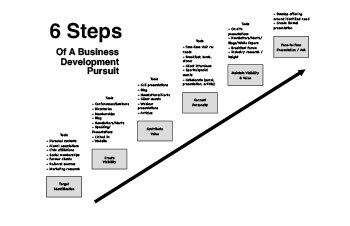 With the caveat that there isn’t a cookie-cutter that fits every situation, a successful business development plan will create sustained visibility, deliver measurable value to the target, and facilitate the opportunity for a face-to-face pitch. While the specifics for how to execute at each phase will vary, this graphic is offered as an initial way to think about the path your efforts follow.